It is a misty, cool morning here in Colorado, and I’m spending some time thinking back on my week. The kids are still asleep, I have coffee in hand and it might just be the very best. I cherish early morning quietness, and with this little bit of cloud cover, I’m in heaven. p.s. this shot is not representative of the rest of my house, but sometimes you JUST NEED PRETTY THINGS in front of you. At the end of today, I’m going to challenge you to do something this weekend, maybe something a little awkward, but definitely intentional for yourself, and for your family. So, hang on, we’ll get there, but for just a second, I want to sit with you. What’s your week been filled up with? Mine included a 9-year-old birthday party, an IEP meeting, Mexican food at one of my favorite restaurants, and a root canal (the office gal told me root canals get a bad rap, that they’re really no big deal. Okay pumpkin.). I am so thankful you are here. 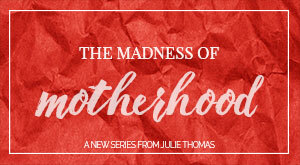 I’m so thankful for this series, this Madness of Motherhood series, that gives us some space to breathe and think about the story of our lives. We all want to write a good story, don’t we? We want our lives to be filled with stories of great love and incredible adventure. To love our families with everything that we are, and to finish this whole thing well. However, parenting is NO JOKE. It’s the hardest best thing we will ever do, hands down. And sometimes it feels like we are alone, isolated and possibly in need of something a little stronger than coffee. That’s why we created this series. Because even though motherhood is hard, and there’s cheerios on the floor, or there is teenage angst, or they are adult children fully engaged in free-will choices…this whole motherhood thing matters. Your story matters. It matters to you as a woman. To all that God has created in you – how He wired you, from your personality, to your temperament, to your calling. It matters to you as a woman because all that wiring, all that God-created wiring, is what makes your heart beat for your life, for that unexplainable passion for your family, to those social justice issues that make you want to scream, to all that brings your soul the deepest of joys. Your story matters to your family because you matter to your family. Your family needs you. They need absolutely everything you have to offer. They need your love, your grace, your amazing recipes, your laughter and your years of hard-fought wisdom. In a world that wants to tear them apart, your children desperately need you to speak encouragement and life into them. They need you to be voracious prayer warriors and hill-takers on their behalf, because you had others who did the same for you, and now is your time. *More on that in a minute. What an incredible calling it is to be a mother during this time and this season. We need you so much. We need your heart, we need your passion, we need your brave ideas and your craziest dreams. You’re way too much. You’re not enough. You can do it all. What made you think you could do anything. You are so beautiful. You need to fix how you look. Share what you’ve experienced. Your story is embarrassing, don’t tell a soul. If I was a better person, I’d have my stuff together. Maybe today you are longing for more grace in your life. Maybe your soul longs for forgiveness. Towards others. For yourself. Maybe you desperately want some redemption for your circumstances. You are not alone. We are in this together. And I am so glad you’re here. Let’s keep writing and telling a good story together. As promised, here’s my challenge for you this weekend. Each week during our Madness of Motherhood series, we will have a Weekend Challenge, and today’s is to do this one simple thing: walk. Here’s what that means. 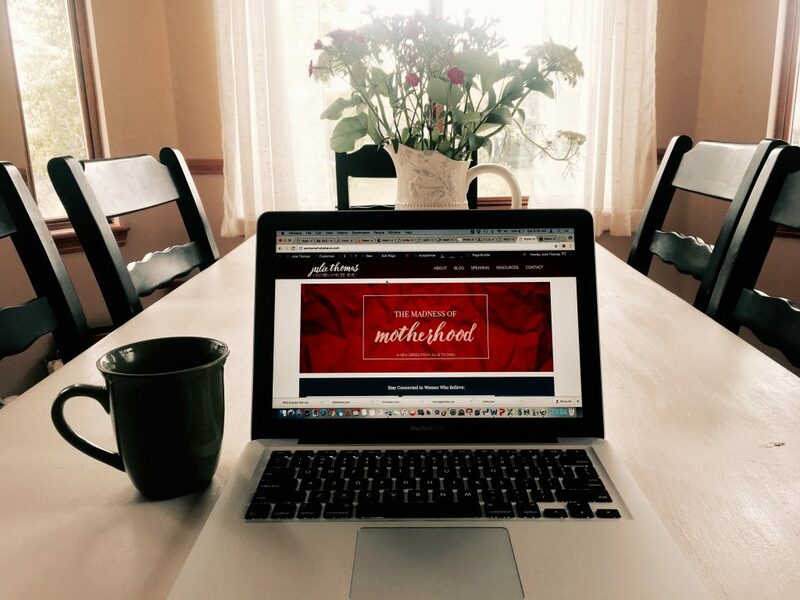 This week, we have looked at two specific areas that are critical to us as moms. And although they seem to be pretty standard, my goodness, they get lost. First, we looked at God’s Word and how it has the power to change us from the inside out. We determined that as we begin to sink into the Truth of God’s Word, the narrative of our lives completely changes. His Word gives us the determination to stop believing the lies that are hurting us and our families, and to fight for the Truth. For ourselves and for our children. The second thing we looked at was Prayer, and how it was the absolute greatest gift we could offer our children. We asked the question, what would it look like if we actually believed that prayer mattered? What if we understood that prayer does not equip us for greater works…prayer is the greater work? This weekend, I’m going to challenge you to do something that combines both of these. I’m going to ask you to walk it out. Literally. I’m challenging you this weekend to walk your home. Grab God’s Word, combine it with prayer, and walk your house with it. Maybe your kids live with you, maybe they live somewhere else. But make space this weekend to walk, to stand, and to fight on behalf of your family. 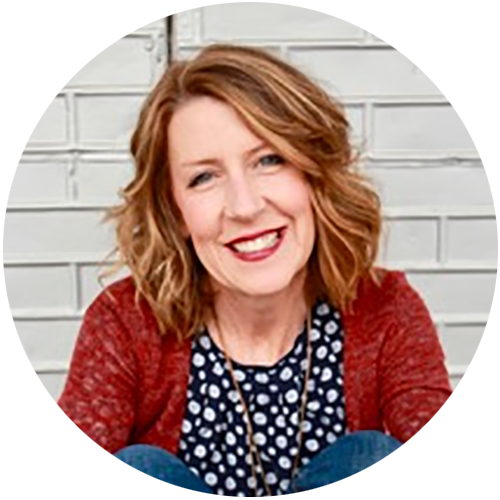 Walk the circumference – walk the exterior of your home, and circle it in prayers of intentionality, asking for God to surround it with His presence and power. Open the gates and surround your property. If you live in an apartment complex, walk the space and circle it. Walk the floors – go inside and walk every open space. Walk the hallways and speak out prayers of intercession. Walk your children’s bedrooms and pray with boldness for God’s presence to be strong and known in their lives. Pray over the spaces of your home, entryways, kitchen tables, family rooms. As you begin, you may feel unsure, awkward. Step out anyway. I think back to the story of Joshua and his friends as they circled the walls of Jericho, walking and praying as God had instructed them. They had to feel really foolish at first, don’t you think? Just a walk? They had to wonder why they couldn’t just have a consuming battle plan or a miraculous supply of flaming arrows. Instead, God asked them to walk. Walk and believe that their enemy would be defeated and the walls they were facing would come tumbling down. Maybe it will feel strange to walk around your house. Maybe the neighbors will think you are crazy. Maybe your dog will try to get out. Walk anyway. Walk and pray specifically. Pray for specific requests, approaching the throne of God with boldness. Pray specific prayers so you can then watch for specific answers. Sometimes when our prayers are so vague, we have no way of knowing if God answers them. Pray specific scriptures over your family. Take any of the verses we talked about this week or grab onto Ephesians 3:14-21. I can’t tell you the number of times I’ve prayed this passage for my family. Pour over these scriptures and put in your family’s names. Take time this weekend to walk your home. Some of you live in homes that are filled with pain and searing words. Some of you have children that are living in darkness. Your marriage may be in shambles. Your circumstances may be horribly oppressive and demeaning. Maybe your kitchen’s a mess and there are clothes to be put away. Maybe you’re a mama in the middle of doing your absolute best to raise these little ones up to be warriors. I’m challenging you to walk, because God’s Word combined with prayer has the power to change lives. Will you join me? Maybe you missed this week’s entries about the Word and Prayer. Take time now to go back and ask God how it all applies to you. Then, take time this weekend to walk. Your children need you to pray. To be a that prayer warrior, to stand and take that hill on their behalf. Maybe you had others who have gone before you and battled for you. Now is your time. Step out, and walk. Then watch and see how God’s grace, love and power begin to take down the walls.